There's plenty going on at The Regent, and here's just a flavour of what you can expect over the coming weeks and months; but as always the best way to find out what's happening is to get yourself down to 102! The Leicester Quiz League @ The Regent (Thursday Night) and the Night Owl Quiz League (Tuesday Night) from September to May each year. We're pleased to be able to tell you that the club now has Wi-Fi for the convienience of members. The club can now accept payments by debit or credit card and cashback facility is also available at the bar. 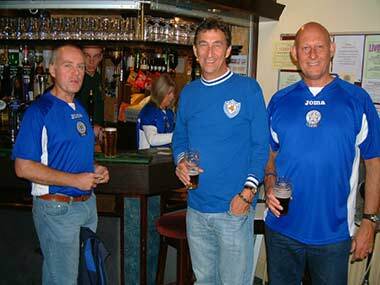 LCFC and Tigers Saturday 15.00 kick-offs - club open from 12.00, with the Matchday Menu available 12.30 until 14.30. For evening kick offs, food served 17.30 - 19.30. For all other kick off times, please check the Regent Facebook Page for details. 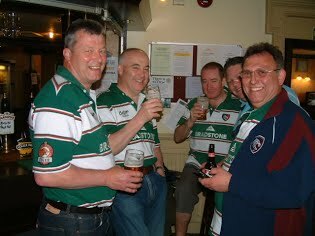 We welcome well behaved visiting supporters but only by prior arrangement and approval. If you wish to visit us on matchdays you must e-mail us in advance and we'll consider the request. Please also note that we are required to advise the Leicestershire Police of all visiting football supporters coming to The Regent.